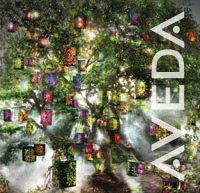 Head over to the Aveda Facebook Page and "Like" them, Then it will bring up the free sample page, and click Order your samples now. Fill out form and then allow 4-6 weeks for delivery. The page is running slowly, but it works! Just takes a little while. I love your blog! So festive and pretty! following you from relax and make friends blog hop. Hi! I've hopped onto your page but I'm not sure how. I liked your post below and thank you for the Aveda post too. I have added myself as your newest follower. New follower via Relax and Make Friends Blog Hop. I would love it if you would follow back. Following your blog! Please follow back! If you could follow me on Facebook, that would be awesome too!! Ocean Nasal Care & Kinoko GIVEAWAY! !